At some point in your life, you may have been as I was (and so many in our pews still are!). 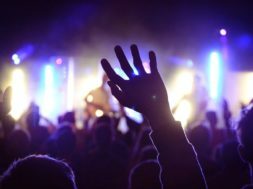 Anytime you heard the word worship, you assumed that word mostly referred to singing, clapping, and talking to God. 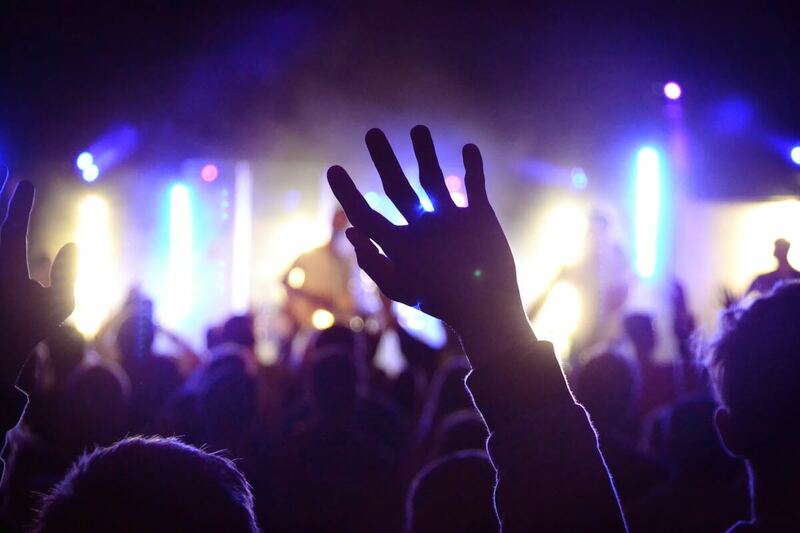 Worship is actually much more than that: True biblical worship encompasses our entire lives. In his book The Ultimate Priority, John MacArthur Jr. explains that for our worship to be “whole-life” it must include three aspects or directions. Most certainly, we worship God when we focus directly on him, pointing our worship upward (as we normally think of worship). However, we should also worship God inwardly. The third direction we should worship him is outwardly, to those around us. You might think of three-directional worship like this: Imagine you say to your boss, “You are the greatest boss to ever walk the face of the earth. Furthermore, this is the best job I’ve ever had or ever will have. In fact, I practically worship at your feet for just letting me do this job every day.” (Am I laying it on thick enough yet?) OK, having said such a mouthful upward toward your boss, how should you behave when no one’s looking? If you really meant what you said, you’ll talk well of your boss and your job when your boss isn’t around, and you’ll work hard and enthusiastically even when no one’s watching you. Why? Because inwardly you really do love your boss and you want to please him or her. Now let’s say you’re in the service industry, and your job involves assisting other people. Every time you cheerfully seek to help someone, every time you go out of your way to meet someone’s needs, you are outwardly honoring your employer and saying by your actions how much you appreciate working for him or her. In much the same way, our God is honored—or worshipped—not only by what we say to him, but also by how much we love him on the inside and by how we respond to those he died for. Worshipping inwardly by being good is perhaps the litmus test for all of worship. If our hearts’ desire is to please God, we can no longer enjoy our former sins. Second Corinthians 5:17 says, “If anyone is in Christ, he is a new creation; the old has gone, the new has come!” This refers to a change inside of us. According to Psalm 51:16-17, God wants a broken and contrite heart more than our outward sacrifices. He knows that if our hearts are purely devoted to him, that can’t help but affect our outward behavior. The importance of this inward direction of worship cannot be overemphasized. In 2 Chronicles 16:9, we find that God is searching the earth not to support those who sing the best or shout the loudest. Rather, he seeks for those “whose hearts are fully committed to him.” As worshippers and worship leaders, that must be our foremost goal. Without that commitment, all other expressions of worship are actually sickening to God (Amos 5:21-23; Psalm 51; Revelation 3:16). Now let’s consider the outward direction of worship. There are actually four distinct outward ways we can bring glory to our Lord, and they all have to do with our relationships with other people. Second, we worship God when we help others. These days, old-fashioned neighborly help can be hard to find. And if we’re really honest, most of us are OK with that trend. We often lack the motivation to lend a hand. We build privacy fences so we don’t see our neighbors, and then we fill up our schedules so we don’t have time to notice if they need our help. But as followers of Jesus, we can’t afford not to be the good Samaritans he has called us to be (Luke 10:33). Jesus clearly taught us to give “a cup of cold water” in his name (Matthew 10:42). In Philippians 4:14-19, Paul described the Philippians’ gifts as “a fragrant offering, an acceptable sacrifice, pleasing to God”. Giving financial aid to those in need is a third wonderful way to express our love for God. However, it’s imperative that we be cheerful when we give, not grudging, because that represents the real motives of our hearts (2 Corinthians 9:7). Once again, God considers our willing and compassionate hearts as the source of true worship. The fourth way we worship God outwardly is by being sensitive to our weaker brothers and sisters. The entirety of Romans 14 focuses on strong and weak Christians. According to verse 13, we are to “live in such a way that you will not cause another believer to stumble and fall” (NLT). Verse 18 shows God’s view of this: “If you serve Christ with this attitude, you will please God” (NLT). Decide today to consciously and deliberately express your worship outwardly. Look for an opportunity to share your faith or give to someone in need. Pray and commit yourself to whole-life worship today. Dwayne Moore is the founder of NLW International (NLWInternational.com), a nonprofit ministry providing worship discipleship resources to worshippers and churches. Dwayne has led praise and spoken in over 1,000 churches and conferences. His teaching materials have been utilized in more than 80 countries worldwide and have received 6 “Best of the Best” Editor’s Choice awards from Worship Leader Magazine. 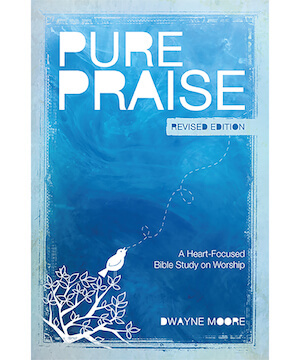 For more information on Pure Praise (Revised), visit group.com.